Want to share contents of your mobile devices directly to your TV? Then, here’s a device to fulfill your requirement as Samsung has recently introduced a new addition to their family, the Samsung HomeSync. Well, these device and its feature of sharing contents on your mobile devices to your TV will be supported only if the TV you own is a Samsung TV. This means that the HomeSync has limited compatibility access only to Samsung television. The Samsung HomeSync not only allows users to share, view and control content from your Galaxy device directly to your TV, but also allows storing, synchronizing and streaming across multiple devices at the same time. Samsung HomeSync is an Android device that allows users to use their Galaxy device as a remote control to store and sync content onto its 1TB of secure storage drive where up to eight separate accounts can be created by HomeSync and allows users to sync, upload as well as download mobile content. It also allow users to share and access to their files, photos, videos etc. no matter where they are. Also, users can also share their content with another user which means you can access and view the photos and videos share by other users. 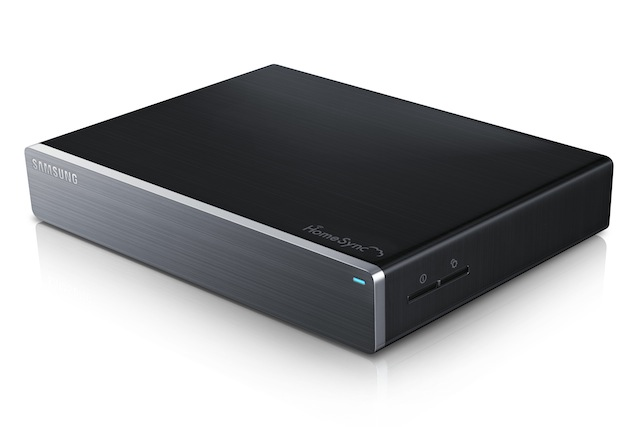 The Samsung HomeSync will be available at cost of $299 and will release on October 6. As far as the compatibility is concerned, this Android device is best suited for th Galaxy S4 and Galaxy Note 3 and other devices within the Samsung ecosystem that uses Samsung Link.